Replace your front or rear brake pads with original Honda equipment! Valid at Norm Reeves Honda Superstore in West Covina, 1840 East Garvey Avenue South, West Covina, CA 91791. May not be combined with other coupons, discounts, or specials. Please present coupon at time of purchase. Offer valid at parts retail counter only. Coupon not valid on previous charges. See dealer for details. Tax applied before discount. 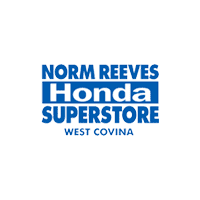 Valid at Norm Reeves Honda Superstore in West Covina, 1840 East Garvey Avenue South, West Covina, CA 91791. May not be combined with other coupons, discounts, or specials. Please present coupon at time of purchase. Offer valid at parts retail counter only. Coupon not valid on previous charges. See dealer for details.